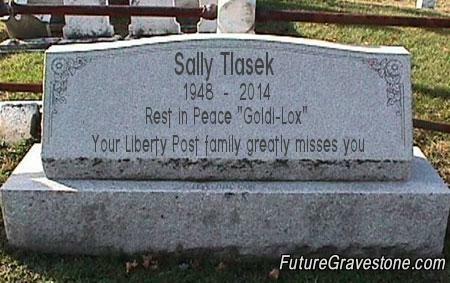 Due to the untimely death of Liberty Post founder and moderator Sally Tlasek (AKA "Goldi-Lox"), The Liberty Post forum has been closed. Thank you to all Liberty Post participants who have supported the site and made it a special place over the years. Many LP participants have chosen to continue gathering on the Liberty's Flame forum and may be found there. The email address below may be contacted for further information. For those who wish to make a donation in Goldi's name (Sally Tlasek) for a worthy cause that she would have supported, we would suggest the Safe Rescue animal shelter which rescued and adopted out her beloved pet to a new home. A donation on behalf of Liberty Post to thank Safe Rescue for their efforts has been made, individual donations are highly encouraged! Photo courtesy of S.A.F.E. Pet Rescue.